25 year led strip warranty. 25 YEAR LED STRIP GUARANTEE. Update your facility’s emergency lighting with these high-quality exit sign lights. These are great quality LED exit signs with a 90-minute battery back-up, part of our commercial duty line of premium lighting for daily commercial use. They’re energy efficient, with less than a single watt of power consumption. 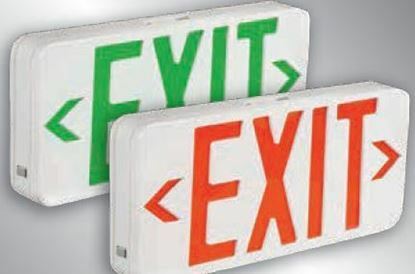 Choose from red exit signs or green exit signs, in either single-sided or two-sided style. We guarantee your complete satisfaction, with a 5-year warranty on the fixture, 60-month battery guarantee and 25-year LED strip warranty. These exit signs are designed for long-lasting use in commercial facilities. Their features include a rugged ABS housing made from injection-molded thermoplastic and a design that snaps together for easy installation. The directional chevron inserts are easily removed and replaced. The sign has a UV94V-0 flame rating, and it includes universal mounting for installation on a wall or ceiling. The lettering is 6 inches high, and it operates at 120/277 VAC dual voltage. There is an LED indicator light and push button test switch. The battery can be recharged in 24 hours after a 90-minute discharge. This exit sign light is energy efficient, using just .92 watts for the double face application. 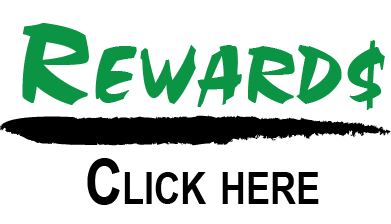 It’s ETL-listed for damp locations and these signs are assembled in the U.S. See the product data sheet on each product detail page for additional information. Why should you buy your home, commercial and industrial lighting from MEBULBS? Because we have more than 40 years of lighting expertise, and we’re fully committed to providing you with exceptional service in addition to quality products. We offer three separate lighting collections with prices to fit every budget. Our residential lighting products are competitive with what you’d find at a big box store, and our commercial and Xtreme Duty™ lights are designed for business and industrial use.